It’s beginning to look a lot like….MINECRAFT around our house. 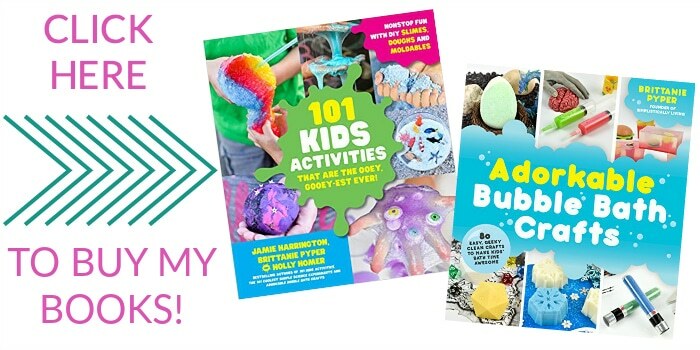 Yep, my son is obsessed right now and I am the cool mom that gets to make fun Minecraft inspired crafts and recipes. The newest addition is this Minecraft Creeper Chocolate. Can you say yum? 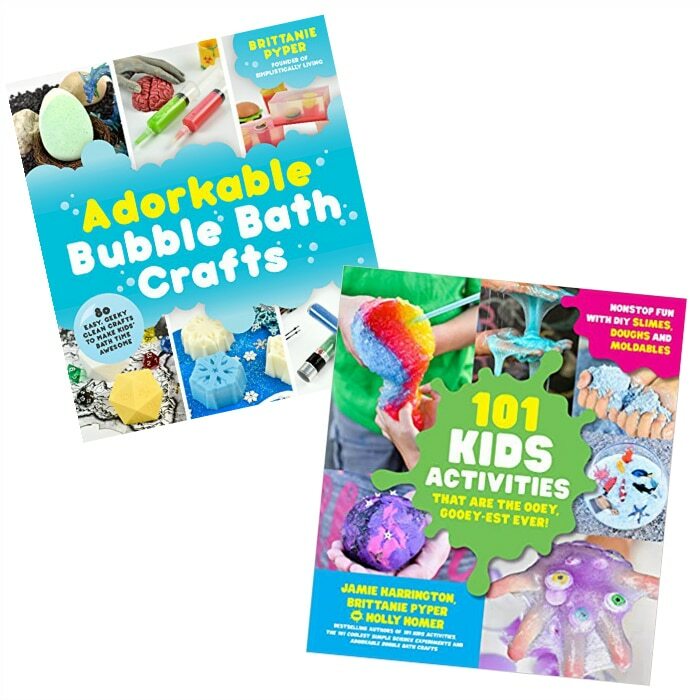 The other day I was taking my weekly mini vacation away from home and browsing Hobby Lobby (I can browse that store for hours) and I was writing down ideas in my notebook of fun crafts and recipes. 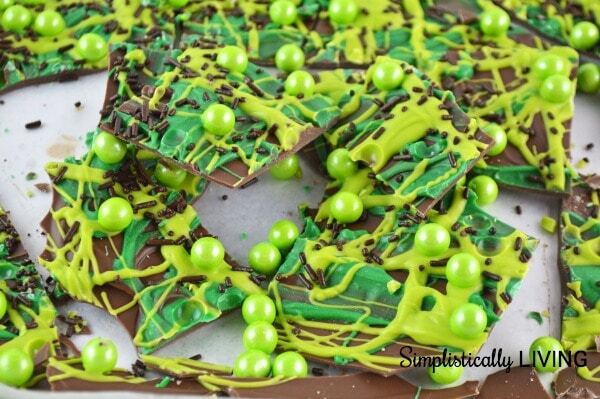 I remembered I had seen candy bark recipes before but never seen anything Minecraft inspired. I checked the web and nope couldn’t find anything like it so decided to whip it up myself. As soon as I got home and told my son he was so excited. I am sure he was excited about all the sugar but excited it was Minecraft themed as well. 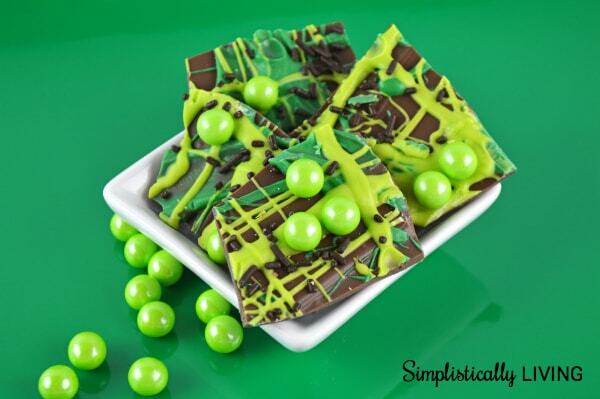 I really think this Minecraft Creeper Chocolate would make a great treat at a Minecraft party. You can serve it up in little green paper bags, cups, or even in clear cellophane bags. I surely hope you will give it a try! 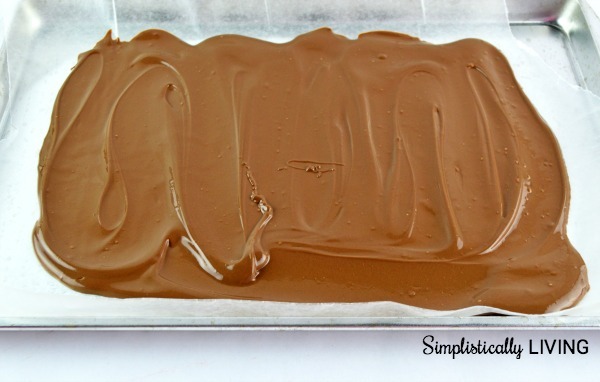 Line your cookie sheet with wax paper with the wax side facing up. 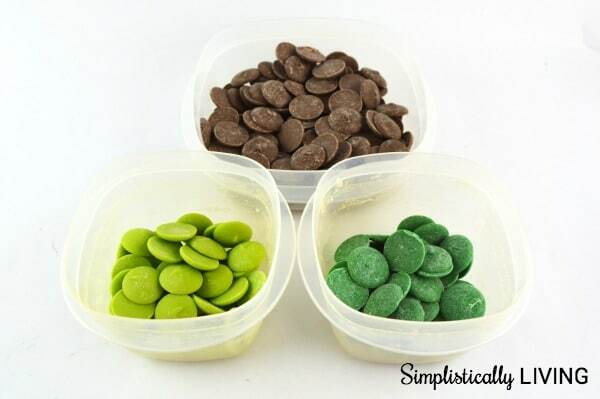 Place a good amount of each chocolate into 3 separate microwave safe bowls. I used the entire bag of the brown chocolate for the base. Start by microwaving the light cocoa candy melts in the microwave for 30 seconds. Stir and repeat until all the candy is melted. Be careful not to overheat as you can burn the chocolate and it will not turn out right. 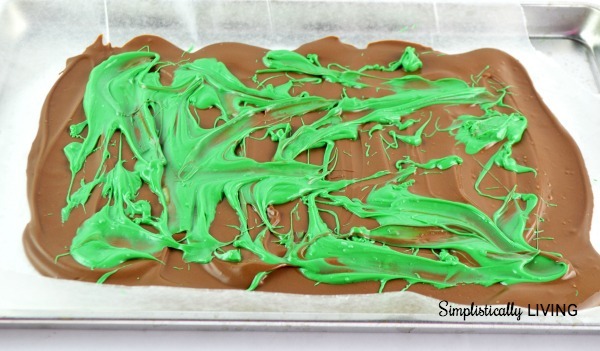 Spread the melted light cocoa candy across the wax paper. Use the backend of the spoon to achieve a smooth surface. 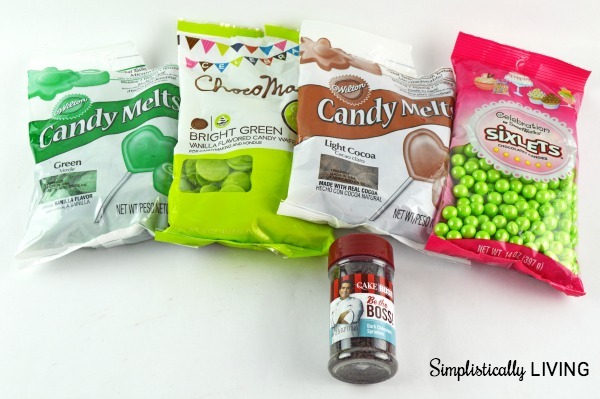 Repeat step 3 with the green candy melts then drizzle over the top of the light cocoa candy. Repeat step 3 again with the light green candy melts and again drizzle over the top of the candy on the cookie sheet. Add your Sixlets to the candy randomly. You will want to work fast to ensure the Sixlets will stick to the melted chocolate. Add your chocolate sprinkles again ensuring it sticks to the melted chocolate. Place the cookie sheet in the refrigerator for up to 1 hour to allow the chocolate to harden. 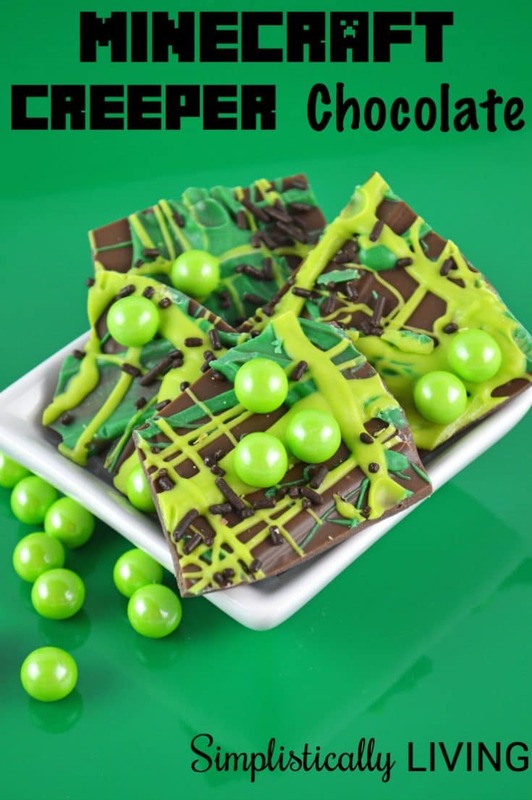 Break the chocolate into pieces by grabbing the back of the wax paper and using your hands to break the chocolate.You will then have your finished Minecraft Creeper Chocolate treat! 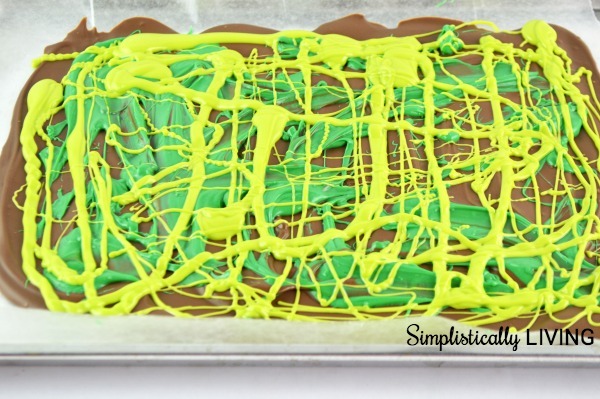 Break the chocolate into pieces by grabbing the back of the wax paper and using your hands to break the chocolate. 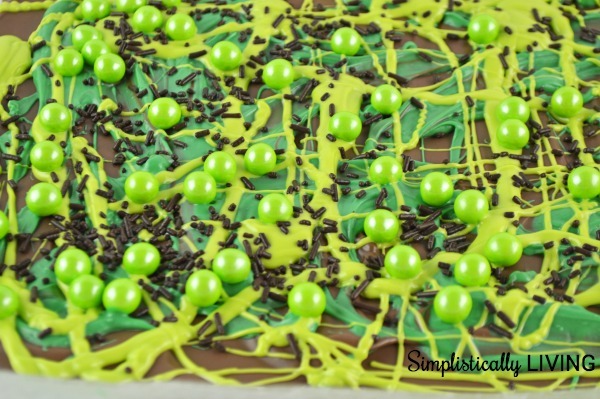 You will then have your finished Minecraft Creeper Chocolate treat! I love this! I don't know too much about MineCraft, but my cousin recently did a huge party for her daughter that was total MC - it's definitely a huge thing these days! Thanks for sharing at the #HomeMattersParty - we love having you as a co-host! I might have to make something like this for my Minecraft loving boyfriend. I agree! Minecraft is everywhere! Thank you for your kind comments and certainly enjoy being part of the party! See you next week! What a fun idea. I love this. My son is also very into Minecraft and he would really like making this. Thanks for the awesome! idea. Pinning. Great idea! My two youngest are huge Minecraft lovers. They would be thrilled with this. 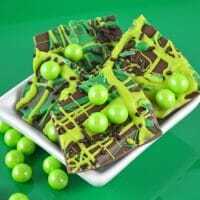 Great idea and photo is so clear Minecraft Creeper Chocolate looks crisp and yummy. Such much fun! I wish I had had this awesome snack idea for the Minecraft birthday party I planned a couple of years ago. It would have been a hit at the party! Pinning and sharing! Ashley it would have been perfect for your Minecraft party. Guess it's an excuse to host another one :) Thanks for stopping by and certainly glad you like my idea! What a great idea! Love the Minecraft-themed snack! This recipe looks cute and delicious! I think your son will love it!